2 in 1 disinfection and air freshening capability eliminating all hygiene risks and unpleasant odours, ideal in environments where the risk of bodily fluid exposure is high. Powerfully effective as both air spray and contact-surface spray, independently tested to British and European standards. 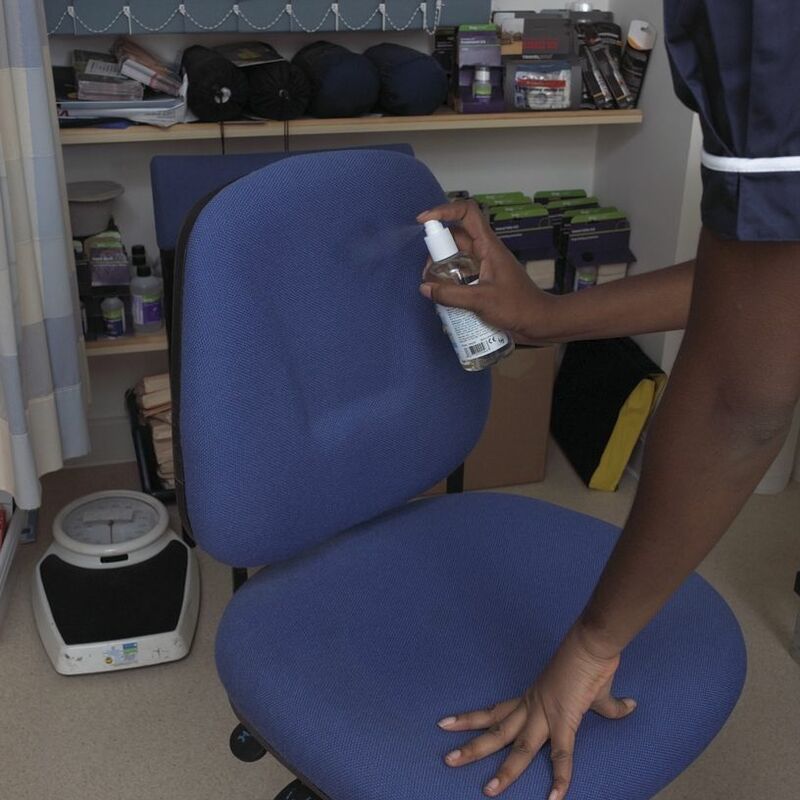 Cutting-edge research and development, combined with independent testing, ensures Bioguard disinfectant spray and air freshener is truly effective for use across the whole spectrum of professional healthcare environments. POWERFULLY EFFECTIVE – Independently tested to British and European standards. Effective against 1000’s of viruses, bacteria, mycobacterium and spores, including MRSA, Tuberculosis, Hepatitis C, Salmonella, Avian Flu (H5N1) and Swine Flu (H1N1). For more details, please refer to our Independent Test and Safety Information CD. SIMPLE AND ECONOMIC TO USE – Kills odour-producing bacteria; the combined cleaning and disinfectant action removes the need for separate products and procedures. ENVIRONMENTALLY FRIENDLY – Proven by independent audits to be non-toxic, biodegradable and non-accumulative in the eco-system. No special procedures are required for product disposal or incase of spillage. environments such as airplane cabins, hospital wards etc.